Advocates for Justice has acted for East Ramapo parents and taxpayers since 2012 in a constitutional claim against the school board. The lawsuit challenged the board’s use of public funds for private religious schools to the detriment of public school children. The case has involved many depositions, motions and appeals, and discovery of over 200,000 documents. A4J won most key motions for the plaintiffs, 3 of which were appealed to the Federal Court of Appeals. The plaintiffs lost the last appeal in a split 2-1 decision by the court. The majority ruled that the student plaintiffs did not have standing to bring the lawsuit against the school board because they did not suffer “direct injury” from the board’s actions. There was a strong dissent by the third judge on the panel. Constitutional scholars advised us not seek appeal to the US Supreme Court, because considering the current make-up of the Court, it might issue a decision creating a bad precedent. The taxpayers still have standing to continue suing the school board, but the decision has been made to resolve the lawsuit. The litigation was intended as one piece, along with political advocacy, in an overall effort to achieve positive change in the district. There is still more to do, but much has been achieved: removal of the superintendent, ending illegal payments to private religious schools, appointment of a monitor to oversee actions of the school board, securing office of civil rights resolution agreements, and ensuring district compliance with the federal and state education laws. A4J is a non-profit, which represents working people pro bono, advocating for equal rights and social justice. They rely on foundation grants and individual donations. Although A4J has not charged legal fees, they have incurred significant expenses related to the East Ramapo lawsuit. A4J needs donor support to help cover these costs. There will be a vote on December 6 to approve spending $60 million for renovations to school buildings and grounds. A YES Vote will benefit the children. While it is reassuring to hear that NYSED intends to do its job, the NAACP letter also expressed concerns about a repeat of past abuses by the school board. In recent years the school board has closed and sold two public schools (Hillcrest and Colton). They did this despite increasing enrollment and over the protests of educators and parents. At the time, one school board member said “buildings do not educate children.” The buildings that they deemed excess and converted to yeshivas were the only two that were not on the state list of buildings in need of repair. 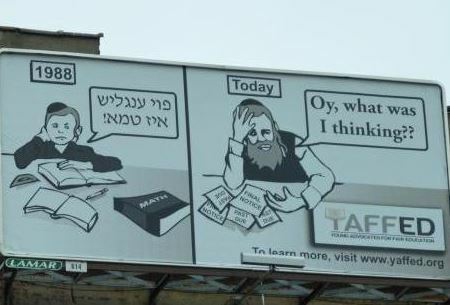 Pressure to convert public schools to yeshivas has not abated. The children need well functioning buildings. Passing these resolutions will result in better school environments for our children. Yes, the school board could turn around and try close a newly renovated building, and sell it to their friends for pennies on the dollar, but we cannot allow ourselves to descend into hopelessness and despair. Public school advocates now include: Strong East Ramapo, Padres Unidos of East Ramapo, Rockland Clergy for Social Justice, We The People, The NAACP, Advocates for Justice, East Ramapo Underground, and more. Elected officials at the local, state and national level have become involved. The school board has earned national and even international notoriety for their callous treatment of children. In short, now is not the time to give up hope! Each year, when the school budget comes up, voters where the majority of students go to yeshivas vote NO for the public school budget. Will they vote YES for the renovations? Are they hoping these buildings will one day be converted to yeshivas, like Hillcrest and Colton? How can they vote down money for teachers, and allow it for buildings, while at the same time we are told “buildings do not educate children”? Despite this apparent hypocrisy, we must offer ALL the voters a chance to support BOTH sound schools buildings AND the educational programming they need to complete their education and be college ready. The next vote will be in May. Superintendent Wortham must offer a budget that is based on the students needs. Just as ALL the voters are expected to support building renovations, ALL the voters should be expected to support quality programming. That includes small class sizes, collaborative classes for special needs, business classes, vocational classes, advanced placement, as well as support staff such as social workers, guidance counselors, etc. These are needed for our children. There is no such thing as someone else’s children. They are all ours. They are our future. They are your legacy and mine, together. If there are some who don’t see it, we still can’t walk away from it. Thanks to all of the Power of Ten readers, I know there are many public education advocates working for justice in East Ramapo. This is one of the the most important letters ever published on the subject. It is worth a subscription to the Journal News just to read this one letter! The letter is on behalf of the Rockland BOCES Staff Association, the Clarkstown Teachers Association, the Nanuet Teachers Association, the Nyack Teachers Association, the North Rockland Teachers Association, the Education Association of South Orangetown, the Pearl River Teachers Association and the Ramapo Teachers Association. In the last edition of The Power of Ten, I reported that the Town of Ramapo is charging East Ramapo an estimated $1.2 million per year for collecting taxes, a service that other towns provide for free. The superintendent of Ramapo’s other school district, Ramapo Central, has written a Community View in The Journal News asking readers to tell Cuomo to sign a bill that empowers school districts to collect their own property taxes. This bill has already been passed and is waiting for the governor’s signature. 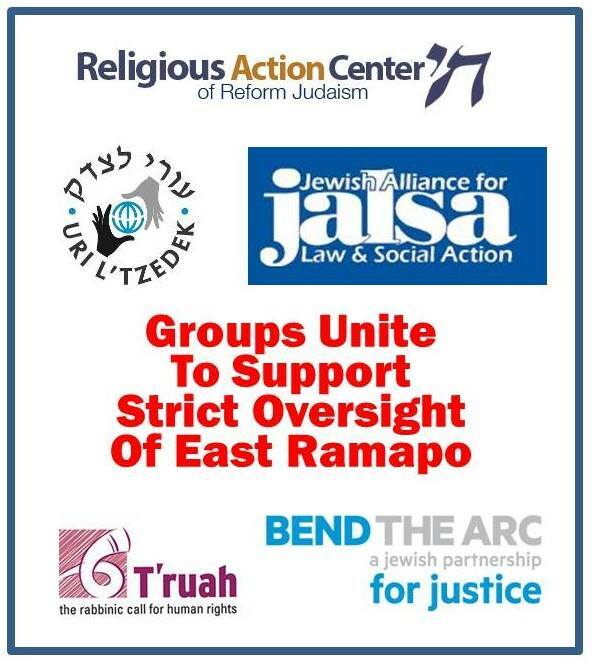 Action Opportunity: Please go to the following link: www.ramapocentral.net/district/advocacy which has been set up to assist the community in reaching out to the governor. Willie Trotman, the president of the Spring Valley NAACP, has written a letter to the Journal News giving conditional support for the upcoming bond vote. His support is conditional because the school board just sold two schools which had been renovated as public schools, and then opposed legislation which would prevent them from doing it again. No one knows better than Mr. Trotman the terrible impact that dilapidated schools are having on our youth. He is asking the state in this letter to guarantee that they will prevent our public education system from again being the victim of real estate speculators. The East Ramapo school board is a pariah, a rogue board which has abandoned its mission. They cannot complete the function of “trustees” if they cannot be “trusted”. They haven’t admitted wrongdoing and they haven’t changed their ways. They will have to be watched every second until an alternative governance system is implemented. The school board could have guaranteed a pass for the bond vote, and extra state aid just by allowing more state oversight. The state could have passed the oversight over the objections of the board. So the first two “NO” votes for the bond are really coming from the school board and NY State. The NAACP deserves credit for putting the kids first. They are saying “YES” even if it is conditional. Right now they are down 2-1, but the state could still step up and provide the oversight Mr. Trotman is asking for. That second “YES” from NY could be the deciding factor. What Happened to Your School Tax Dollars? 2. Yeshivas get Tax Dollars – for What? 3. Town of Ramapo Takes from School Taxes – Why? Preserve Ramapo has also endorsed several candidates this year. They are: Ellen Jaffee, State Assembly 97th District; Tom Deprisco, State Senate 38th District; Ken Zebrowski, State Assembly 96th District; Howard Gerber, Rockland County Court Judge; Pat Loftus, Rockland County Court Judge; and Bill Weber, Ramapo Town Council. NY State law and the regulations of the Commissioner of Education clearly place the responsibility for compulsory education of minors on the desk of the Superintendent of Schools. On October 26th, Naftuli Moster, an advocate for parents of students in East Ramapo yeshivas, spoke at the school board meeting and officially put Dr. Wortham and the board on notice that many, if not most students in yeshivas in East Ramapo are not receiving an education as required by law. Please go to http://poweroften.us/ and sign the letter to Dr. Wortham asking her to prevent scare education resources from flowing to institutions where education is not provided. As reported in The Journal News, the Town of Ramapo is charging East Ramapo an estimated $1.2 million per year for collecting taxes. By comparison, the Town of Orangetown charges Pearl River only $60,000, and the Town of Clarkstown does not charge a fee at all! If you are a resident of NY Assembly District 97, you have the privilege of voting to re-elect Ellen Jaffee. Assembly Member Jaffee has stood with the students and families of East Ramapo as we fought for state oversight of our school board. During the many trips we made to Albany, other assembly members often remarked at how persistent and persuasive she was. She is also sponsoring legislation to require that children who are not enrolled in public school are receiving an education. It was only three years ago that the district announced they were doing away with Kindergarten entirely. Now, because of constant pressure from parents and civil rights groups, ALL East Ramapo Kindergarten classes will be full-day! Also, some of our favorite Art and Music teachers are coming back this year! We know the children will appreciate that! Special thanks are owed to Assembly Member Ellen Jaffee for her tireless work in securing the funds to make this happen. November 8 she is up for re-election, please make sure you get out to vote! This negligence is inexcusable: $2 million in overcharged legal fees, $1 million per year in extra insurance costs, $1 million dollars in unauthorized spending for “energy performance” work that no one seemed to know was happening. That’s $4 million alone that could have been spent on children’s needs. Students, families, taxpayers deserve much, much better. Temple Beth El was sold at auction. More than 100 buyers expressed interest, and four made bids over $8 million. The property included a 32,000 square-foot building on a 5.6 acre lot. The price is attributed to ongoing high demand for space by nonpublic schools. Compare this to Colton Elementary, a 62,000 square-foot building on 15 acres, which the East Ramapo board sold for $6.6 million (minus rental credits), or Hillcrest Elementary, a 62,000 square-foot building on 11 acres, which was sold for $4.8 million. The value of these schools was estimated as over $10 million each. Even that amount now seems low in comparison. Both East Ramapo schools were sold to yeshivas by a school board that was found to favor the interests of yeshivas by a state monitor. The sales were closed while the monitor was doing his investigation. Attorney General Schneiderman was aware of fraud by an appraiser hired by the district, but has not acted regarding the school board or the yeshivas (yet). While Dr. Wortham and Commissioner Elia and the teachers and parents and advocates are all working so hard and so diligently to improve the educational experiences of the children, we must assume that the school board is continuing its agenda to hand over more district real estate to their friends at bargain prices. There needs to be some fundamental change in the governance of the district to restore trust. With all the attention in the media focused on the Presidential Election, many people may not be aware that September 13 is also an Election Day. This year, we have two races (at least) in which East Ramapo is an important election issue. Ellen Jaffee has been a leader in the effort to get NY State to intervene in East Ramapo. She represents the 97th NY Assembly District, parts of which are in East Ramapo. She is being challenged in the Sept. 13 Primary Election, She is very well respected by her colleagues, which has kept East Ramapo high on the agenda in Albany. As we continue to pressure Albany to intervene, her skills and reputation will be indispensable. Krystal Serrano is running in the September 13 Primary for the 98th Assembly District. Like Ellen Jaffee, she believes that NY State must do more to protect public education in East Ramapo. Her opponent is the former East Ramapo School Board member whose tenure was marked by the closure and sale of public schools, massive escalation of legal bills, and schemes to use public dollars to pay for private tuition. Please do not fail to go out on Sept. 13 and vote! If you don’t live in one of these districts, you probably know at least one person who does. Please make a personal effort to encourage people to vote for these two supporters of public education. In June, NY State passed a law to bring $3 million in extra state aid to East Ramapo. You may have noticed that Power of Ten Updates are not always keeping up with all the latest developments. I recommend that everyone sign up for the Strong East Ramapo list, which provides more frequent updates with more detailed reports. Strong East Ramapo also has a FaceBook group which has even more info. 1. MLK Center Party was a success! 1) MLK Center Party was a success! Thanks to our sponsors, committee members and professionals who lent a hand, and the nearly 200 people who came out on a rainy day to lend their support. 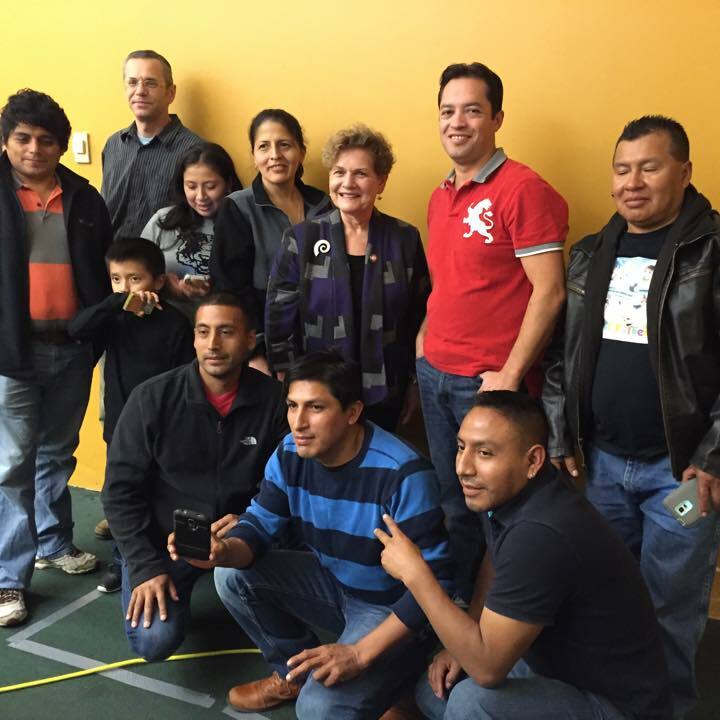 If you missed the party, you can still support the center. Click HERE to donate. The East Ramapo School Board has annulled the election of Sabrina Charles-Pierre. The board president claims that he forgot that Sabrina needed to be sworn in within 30 days after she was elected, which is required when an election is to fill a vacancy. During the past five years there have been several elections to fill vacancies, and the process of swearing in within 30 days was never forgotten. Both board president Weissmandl and trustee Grossman were elected to fill vacancies in 2014, and both were sworn in within 30 days. Strong East Ramapo has started a petition calling on Weissmandl to resign. Please sign and share. There will be a rally at the next board meeting. Please do not fail to be there! Details of the Rally: Tuesday, August 9 at 7:00 PM at the East Ramapo District Offices, 105 S. Madison Ave, Spring Valley NY. Please sign the petition today! I don’t want you to miss this Party! It will be LEGENDARY!!! 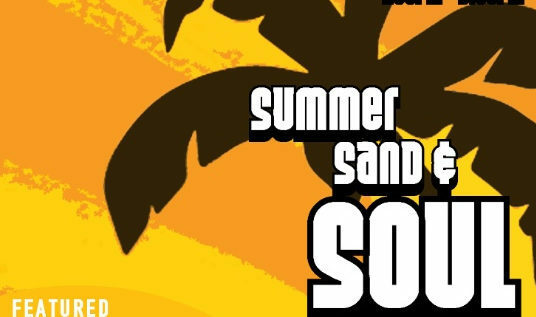 That’s why I am publishing this important CORRECTION: The MLK Center Summer Sand and Soul Party will be SUNDAY (Not Saturday as incorrectly reported in the last edition). The movement to ensure equivalent education in New York is gaining momentum. The YAFFED petition now has over 1,400 signers! Have you signed yet? Please sign and share! Our human family has been through a lot. Not so long ago we hadn’t figured out how to harness electricity. The smallest thing we knew of was the smallest thing you could see with your naked eye. No one knew how far away the sun or the stars were. Diseases were mysterious; there was no way of knowing anything as tiny as a microbe existed, or that it could kill you. All of the knowledge and technology that we use and take for granted everyday was obtained through magnificent effort, by men and women who spent their lives increasing the library of human knowledge and achievement. They did this often in the most difficult of circumstances, overcoming war and oppression and ignorance. This body of work has allowed us to travel, to communicate, and to fend off disease. The legacy belongs equally to all human beings. It is just as wrong to deny a child the light of knowledge as it is to deny a lifesaving medicine derived from that knowledge. One of the greatest contributions of science is the knowledge that we are all one family, linked by our 23 pairs of DNA. This great storehouse of knowledge is an even more essential inheritance than any notarized will. Every one of us shares in the duty of executor of this greatest inheritance. This is why public education cannot be some line item on anyone’s balance sheet. This is why ALL schools need to be safe, inviting, hospitable centers of learning and inquiry. This is why the state has a ethical duty, and in NY a constitutional obligation, to ensure that every child receives this inheritance, whether the child is in a public or non-public educational institution or in the home. 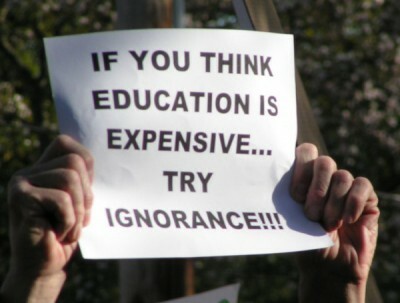 There are even people who oppose education (but who hypocritically use all the technologies that are generated by it). 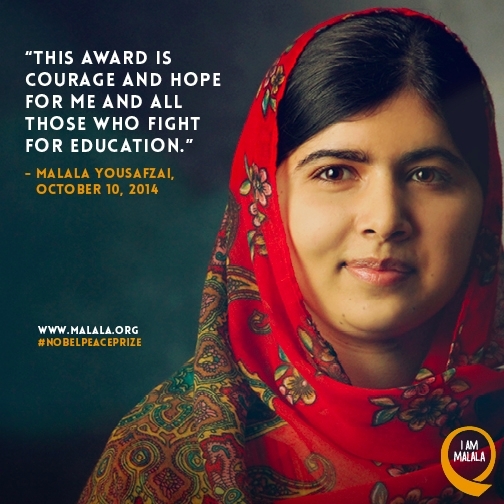 Malala was shot in the face for going to school. There is a group called Boko Haram in Nigeria whose name actually means “Western education is forbidden”. Here in NY the Grand Rabbi of the Kiryas Joel Satmar recently characterized subjects taught in public school as “disgusting”. He said he is glad that NY State has “turned a blind eye” to children in yeshivas who aren’t learning “general studies” (the subjects most people call English, Math, Science, and History). There are many organizations advocating for better education. Malala survived the attempt on her life and has gone on to help educate many girls in her home country and around the world, including victims of Boko Haram. YAFFED is an organization in NY holding officials accountable for their duties under NY law. Power of Ten has consistently advocated for the whole community to step up to our joint responsibility to the children enrolled in public education. This includes not only exposing the abuses of the East Ramapo School Board, but also supporting supplemental programs offered by organizations such as the Martin Luther King Center in Spring Valley. Power of Ten has also asked readers to support Malala in her quest to provide education to every girl, and now to support YAFFED in its work to bring quality education to NY yeshivas. This is why I am making this personal appeal to you right now, to sign the YAFFED petition. It’s a fact. You have to take some time out to relax. Here is a chance to enjoy some great music, food, and company, and at the same time support supplemental education at the MLK Center! YAFFED Education Petition on Fire; MLK Party Will Be Legendary! 1) The petition for equivalent education for yeshiva students already has over 800 signers!!! 2) The Kurz Family Foundation has generously created a matching sponsor donation for the Martin Luther King Center Summer Sand and Soul Party in Piermont. That means 100% of your ticket price goes to provide services for children at the Center!!! This is not some rubber chicken event, this is a real blast featuring legendary DJ Ruben (the Bull) Toro!!! Governor Cuomo has signed the East Ramapo oversight bill, affirming that the district indeed merits special attention to ensure all students receive the education they deserve. The law authorizes the State Commissioner of Education to oversee the upcoming district budget to meet students’ needs. In addition, the Commissioner can either approve or deny the sales of public assets, capital contracts over $100,000 and reductions in restored programs. — “In order to receive such funds, the school district in consultation with the monitor or monitors shall develop a long term strategic academic and fiscal improvement plan within 6 months from the enactment of this act.” This step is already underway. More to come, but the acknowledgement from the Legislature and the Governor that East Ramapo needs state intervention to oversee its budget is an important part of rebuilding trust in our public institutions. While we will need to advocate for continued oversight and additional funds in the years to come (so these e-mail updates are far from over! ), fixing the leaky pipe — even for one year, as a start — has been a critical priority in this journey to justice. Thank you to the lawmakers and advocates who made this milestone possible. If there’s one thing I’ve learned through our advocacy, it’s that democracy is slow and hard. I cannot reiterate enough that we are not satisfied and we are not done. But I hope you’ll enjoy your fireworks a little bit more this time around. the NYC and NYS Departments of Education act quickly and begin enforcing the laws already in place that require non-public schools to provide an education that is “substantially equivalent” to that of public schools. Will you speak out on behalf of those helpless children — who are about to be harmed for life — and demand that the city and state take quick action? You can help make a difference by signing this petition and it only takes two minutes! Join us for a fun summer day party benefiting critical Children’s Programs at the Martin Luther King Multi-Purpose Center, serving children attending schools in the troubled school district of East Ramapo, NY. Our venue, Pier 701 Restaurant & Bar in Piermont, NY, has the largest waterfront deck in the region and its own private beach. We are excited to feature legendary DJ Ruben (“the Bull”) Toro. Ruben was a fixture at the famous Club Shelter, and host of #1 rated Kiss Club Classics (Saturday night 98.7FM) and WBLS-FM. Expect a hot summer vibe, with classic soul, funk, house, old & new school favorites, and more. Tickets will include a buffet-style meal with summer favorites. Feature drink specials will help make this soulful Sunday overlooking the water an event you won’t want to miss! Proceeds from this event will go directly to support the Center’s Children’s Programs. 2. StrongER Students Group Has Arrived! Many thanks to those who assisted and voted this year. 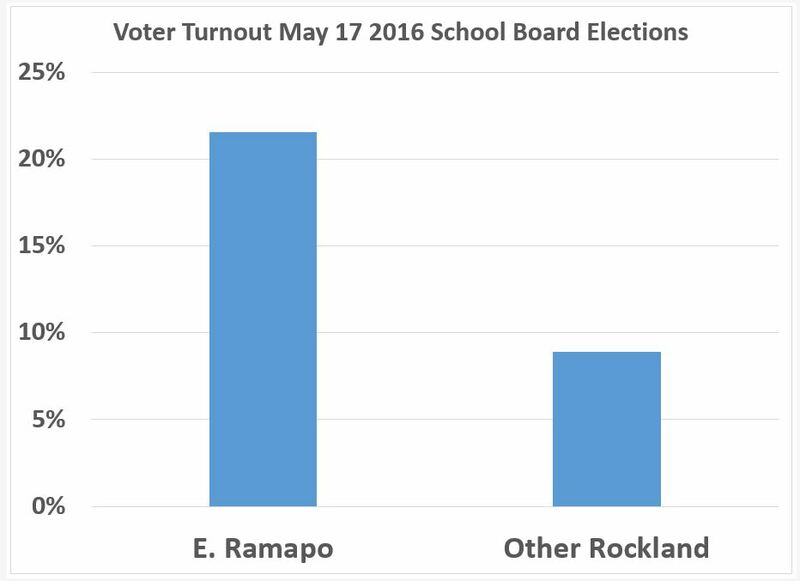 Once again, East Ramapo voter turnout was more than double the numbers from other school districts. One of the #4Women4ALL candidates, Sabrina Charles-Pierre, was elected to serve a three year term. The Budget passed in East Ramapo, as it did in all Rockland districts. It passed despite continuing lack of support from communities that largely send their children to private yeshivas (Jewish religious schools). At one polling place, support for the budget was only 8%!!! No where else in Rockland was there such a poor showing of support for the public schools. It was only because the turnout and support at other East Ramapo polling places was so high that the budget passed. Three East Ramapo polling places had over 70% of the voters casting a YES vote!!! No other district in Rockland (perhaps in NY State?) had a polling place with over 70% YES turnout. 2) StrongER Students Group Has Arrived! On May 20, East Ramapo students from Ramapo High School and Spring Valley High School held a rally for their education at Memorial Park in Spring Valley, NY. See what the students are saying on Tony Luciano’s YouTube channel. They are using ‪#‎strongERstudents‬ and ‪#‎onlyineastramapo‬. Presented by the youth from Spring Valley Commons, the EELEF Center, and associated sponsors, RYFF is a yearly international film festival showcasing movies made by filmmakers 21 years old and younger from the Rockland County area and around the world. RYFF is now accepting film submissions for their 2016 Film Festival. LPZ Media and La Unidad Latina Foundation, in association with Tender Steps of NY, Inc., are partnering to engage and support the students impacted by the events in the East Ramapo School District. Director John Marco Lopez of LPZ Media captured the sociopolitical divide that exists at the center of the struggling school district in a small Hudson Valley town just north of Manhattan through his film, “The Hudson Tribes”. Centered on the issues of public education in the United States, “The Hudson Tribes” serves as a call to action for the East Ramapo community. LPZ Media and La Unidad Latina Foundation will award 4 scholarships to college bound students who have been adversely impacted by the political and social issues plaguing the East Ramapo School District. The 4 scholarship recipients will receive $1,000 each, as a onetime award paid directly to the student. We appreciate your support and assistance in distributing the scholarship applications to high school seniors within Ramapo High School and Spring Valley High School. 1. Please mark your calendars and bring your friends to Vote on Tuesday May 17th! 2. 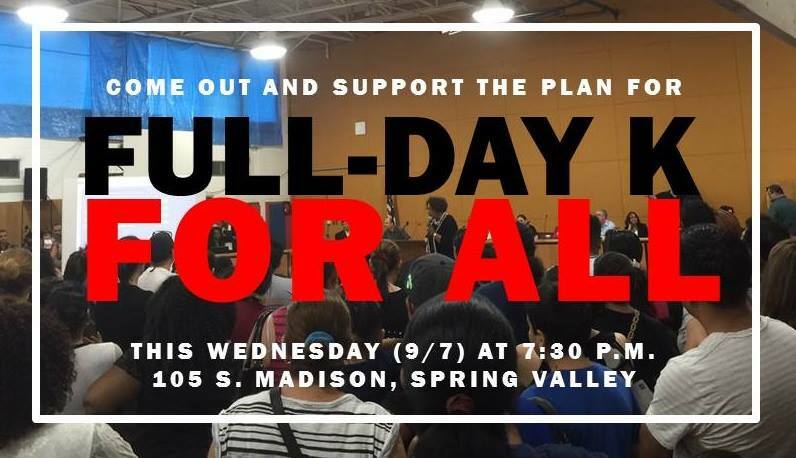 We will be holding phone banks on Monday eve from 5:30 pm – 9:00 pmat El Mana restaurant on Main St Spring Valley (across from the Louis Kurtz Center) to remind voters of this important vote. Please let us know if you can help and bring your cell phone! We are also phone banking on Tuesday and can either send you a list or give it to you Monday eve. 4. 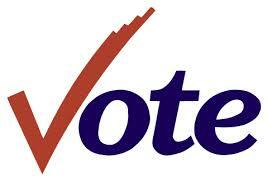 Lastly if you are aware of anyone who would like to vote but can not get there please call Kim at 914-282-1387 or Jean at 845-596-5713 and we will either drive them to the polls ourselves or arrange transportation. Thank you and together we can do this and bring long awaited change and hope to our children and community! 1. #4Women4ALL Event Today (Saturday)! 1) #4Women4ALL Event Today (Saturday)! Join us as we visit our neighbors to inform them about the May 17 school board and budget vote. Can you spare a little time on Tuesday? Please sign up online now! 2. A Community BBQ from 1:30-5 pm. Dr. Susan Gordon was one of the very special people who made East Ramapo a great school district. She served as president of the school board when the district was considered the best of the best. Sadly she passed away earlier this year. There will be a celebration of her life on Sunday April 24 from 3:00 to 5:00 pm at the Cultural Arts Theater at Rockland Community College. The family asks that in lieu of flowers, donations be made to the CEJJES Institute in honor of Dr. Susan Gordon. 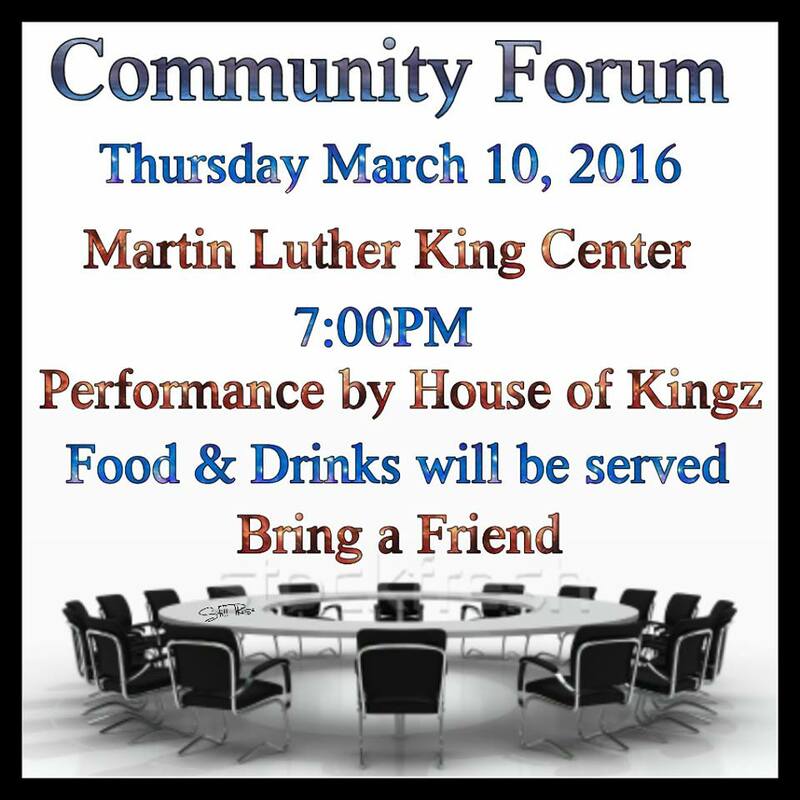 Join us once again as we continue our community conversation about East Ramapo issues. There will be presentations about the statewide push for all day Kindergarten. Meet the Candidates for School Board. Learn how you can be involved. See you there! Whenever children are not doing well, we know the fault lies with us, the adults who shape their world. People are often quick to blame educators, but the truth is we are all responsible. Sometimes you have to get up close to see where the problem lies. This is the case with a fire and safety instructor who ended up learning as much from the children as they did from her. These children are living in a labor camp, in housing over-crowded and under-maintained. While their parents are off cleaning and building houses for those who are better off, the children are impacted by the consequences of exploitation and oppression. We are all used to seeing the new glittering castles and manicured shrubberies of suburbia; the groceries bagged and the laundry done by people whose skin is a shade darker than those who live in the rows of shiny new houses. We rarely get a glimpse into the lives of those from the other side of the tracks, and least of all into the hearts and minds of the children who suffer from the insecurities of poverty in a land of plenty. Thanks to a letter writer whose eyes were open, we get to see a little of what lies hidden in their young hearts. NEW HYDE PARK IS WITH US — Great news! New Hyde Park-Garden City Park School District has joined the list of the now SEVEN Long Island school districts that have passed resolutions in favor of oversight with veto power for the East Ramapo School District. You can contact Senator Jack Martins’ office at 518-455-3265, letting him know that the New Hyde Park school board is supporting East Ramapo oversight with veto power (Senate Bill 3821), and he should join the bill as a co-sponsor. Please also send a thank you note for the board to JRoberto@nhp-gcp.org. 1. The Nanuet Board of Education supports the appointment of a Monitor with veto power to ensure East Ramapo School Board decisions are in the best interest of all students. 2. The District Clerk is directed to send this resolution to Assemblymember Ellen Jaffee, Assemblymember Kenneth Zebrowski and State Senator David Carlucci. The Rockland County School Board Association has sent a letter to Governor Cuomo and the chairs of the Education Committees of the Senate and Assembly endorsing the legislation for a monitor with veto power. 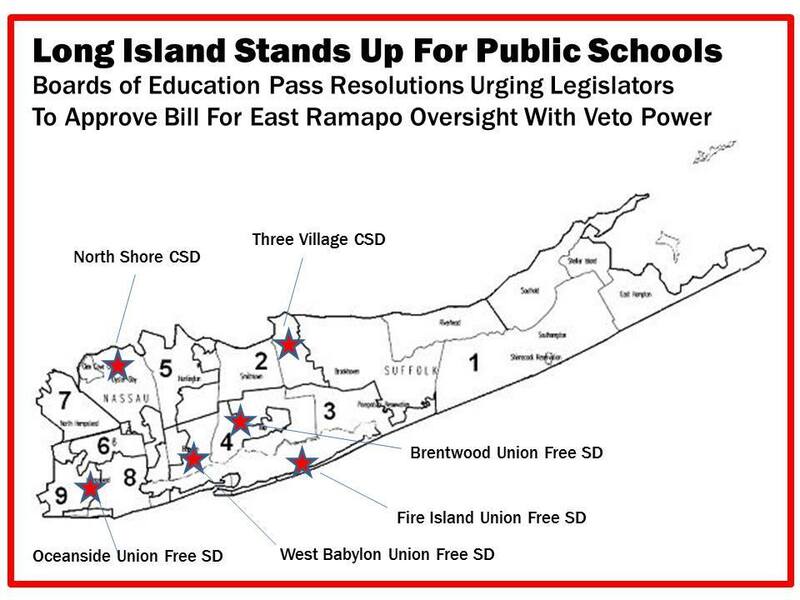 Six school boards from across Long Island have also expressed support for the bill by passing resolutions (latest news: now it is seven) in favor of East Ramapo oversight. Two County Executives have Joined with Rockland County Executive Ed Day in calling on Senator Flanagan to stop blocking the bill for a monitor with veto power. Senator Flanagan needs to hear from YOU too. Please sign our petition asking him to visit East Ramapo and see first hand that NY State cannot continue to ignore the crisis in governance of our schools. Who is running for school board this year? When is the election? How can I help? Answers to these questions and more will be available this Saturday at 1:30 PM in Spring Valley. The candidates for East Ramapo school board invite you to attend a campaign rally and press conference. #4Women4ALL are: Jean Fields, Kim Foskew, Natashia Morales, and Sabrina Charles-Pierre. They advocate for a quality education for ALL children in East Ramapo. They have a vision and goals for high academic achievement for all students that will inspire parents and other stakeholders to have confidence in the local public schools. They have a mix of skills and backgrounds that will help the school board represent the diversity of the East Ramapo community. Jean Fields is the former principal of Ramapo High School. Kim Foskew is a former president of the East Ramapo PTA Council. 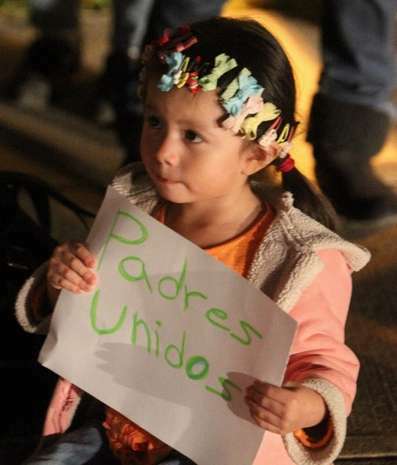 Natashia Morales is a public school parent and activist. Sabrina Charles Pierre is a current school board member. Together, they are #4Women4ALL! The Board of Directors of the Martin Luther King Multi-Purpose Center Inc. is pleased to invite you to its 25th Annual Awards Benefit Dinner Dance! Michelle Brown, Weekend Anchor and Emmy nominated reporter for News 12 Westchester will be our emcee for the evening! Six school boards from across Long Island have joined the Rockland County School Board Association in passing resolutions in favor of East Ramapo oversight. Two County Executives have Joined with Rockland County Executive Ed Day in calling on Senator Flanagan to stop blocking the bill for a monitor with veto power. Senator Flanagan needs to hear from YOU too. Please sign our petition asking him to visit East Ramapo and see first hand that NY State cannot continue to ignore the crisis in governance of our schools. 2. Strong East Ramapo in Long Island? Senator Flanagan, using his power as Majority Leader of the NY Senate, is preventing the passage of legislation designed to resolve the crisis in East Ramapo. His actions are highly unusual; normally a bill which addresses a local issue is not blocked by leadership as long as it has the support of the local community that it affects. The bill was written and sponsored by Assembly Members Ellen Jaffee and Ken Zebrowski and Senator David Carlucci, all of whom represent East Ramapo. The bill has been endorsed by the Rockland County School Boards Association, of which East Ramapo is a member. So there is NO QUESTION as to local support. The bill has the support of the NY State Education Department, the NY State Board of Regents, Governor Cuomo, and the NY State Assembly. There have been two studies by independent experts in law, finance, and education, which have ALL come to the same conclusion. County Executive Day has invited Senator Flanagan to join him on a tour of East Ramapo. Click here to urge Sen. Flanagan to accept the invitation. 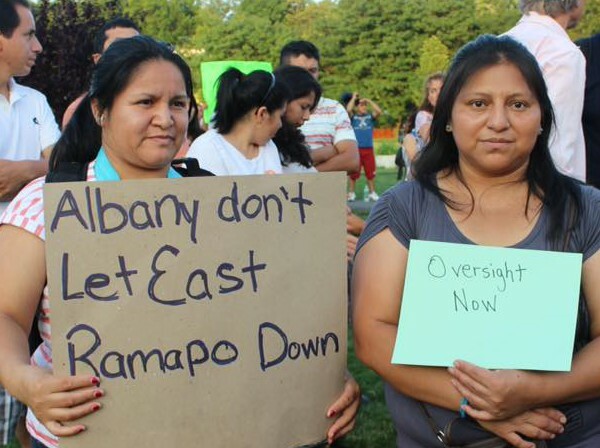 2) Strong East Ramapo in Long Island? How can you help? Please call Senator Flanagan’s district office (631-361-2154) and say: “I wanted to be sure that you knew that the Three Village School Board has passed a resolution in favor of East Ramapo oversight with veto power, so Senator Flanagan should reconsider his position on this issue.” The more people who remind his office of this news, the more concerned his office will become. Billions of dollars are spent each year by the state and federal government to ensure that every child has the kind of quality education that will help him or her to develop into a productive, responsible citizen. Several recent investigations ask whether there are some who take that money without having any intention of delivering the service it was intended for. If this is the case, we hope that government will act quickly not only to recoup the funds, but also to ensure that no child will suffer from neglect of their civil right to an education. Two excellent essays appeared this week in the media. The first, in the Journal News, analyzes co-existence and corruption in Ramapo and beyond. The second, by prize-winning author Shulem Deen and published in the Forward, looks at the difference between honest criticism and bigotry. I strongly suggest that you read both. The first might make you crazy, but the second will keep you sane! The Journal News: Editorial: Room for all in Ramapo? 5. Who is Failing Who? Last year, the Rockland County Legislature passed a resolution supporting the recommendation of Fiscal Monitor Greenberg for a monitor with veto power. Today, they will consider a similar bill supporting the same recommendation by the monitoring team of Walcott, George-Field, and Sipple. You are encouraged to attend! The Superintendent will be holding a series of public forums on the 2016-17 budget. The schedule of the forums is available here. There are also requirements by law that a budget must be finalized by April 26 – May 3, and a public hearing must occur between May 3 and May 10. Coach Delva is “The Coach Who Sets No Ceilings“. The Martin Luther King Multipurpose Center will honor him at their Annual Dinner Dance on April 3rd. How many school districts in New York have zero women members? How many have only one out of nine? If you believe that women should play an important role in public policy decision making, you can express that feeling at the polls on May 17! 5) Who is Failing Who? All Rockland school districts were found to be in overall good standing except East Ramapo, which was given a focus designation for the second consecutive year. What makes East Ramapo unique is the many residents that don’t use public schools and don’t support public education. In 2011, at one polling place (Freshman Center) only 4% of voters voted in favor of the budget. Most of the voters there send their children to private school. Because the private school users outnumber those who use public schools, the budgets fail and programs are cut. At another polling place, in the same year, 84% of the voters voted yes for the budget. Most of those voters were from areas where parents use public schools. These voters, mostly people of color, are a minority. Their commitment to education is high, but because state laws give local control to a local majority, their civil right to an education is ignored. It is not reasonable to expect that this problem of a Not So Simple Majority is going to resolve itself. Two separate investigations by independent experts concluded that NY State laws must be changed. Their recommendations have the support of the Rockland County Legislature, The Rockland County School Boards Association, various religious and civil liberties groups, the State Education Department, and more. The bill has passed the Assembly but has yet to pass the Senate. Join us once again as we continue our community conversation about East Ramapo issues. Learn how you can be involved. Meet the Candidates for School Board. See you there! 2016 is a year when women are asserting their equal right to be decision makers. Four school board members will be selected this year, and four women have stepped up to offer their service to the community as school board members! Share the journey with them on the campaign Facebook page: 2016 Candidates for East Ramapo School Board. If you have walked the halls of Spring Valley High School in the last 10 years, you’ve heard of Coach Andrew Delva Senior. A Haitian-born ambitious man with a strong heart, Coach Delva has been a pillar in Rockland County for a over a decade. The Spring Valley High School Football Program is at the center of his heart, and he has recently taken to coaching track and field with the same spirit. Whether on the field or on the track, students have a deep appreciation for him. Prepaid reservations are strongly recommended! Join us once again as we continue our community conversation about East Ramapo issues. Learn how you can be involved. See you there! This year the superintendent is asking the community to be involved in a process of crafting a budget that serves the students needs. Please come out and participate in one or more of the scheduled budget forums. Let’s show up at Ramapo Town Hall to demonstrate to the Town Planning Board that we object to overdevelopment and discriminatory housing. Please bring neighbors! The East Ramapo School District has failed its public school students and families. The New York State Dept. of Education is investigating the functioning of the School District to develop options for improvement in the schools for all students. Big news! On Monday, February 29 at 8:00 pm, HE NAMED ME MALALA, the inspirational documentary about Malala Yousafzai’s life and her fight for girls’ education, will premiere commercial-free on National Geographic Channel. Bring the inspirational message of education activist Malala Yousafzai’s story and fight for girls’ education to your home. On February 29, 2016, tune into National Geographic Channel for the global broadcast premiere of HE NAMED ME MALALA, an inspirational documentary film from Academy Award-winning director Davis Guggenheim. Share your passion for girls’ education and invite friends and family over to watch the film. Sign up to host a watch party in your home or community. As I walk the second floor hallways of Ramapo High School every day, I hold my breath and walk quickly to get to my destination. As I sit in classrooms, I avert my eyes from the numerous brown/black spots of mold. These spots are not only present in the upstairs halls and classrooms, but also in the downstairs ones as well. As I converse with friends, I hear of students who have become sick because of these conditions. It is extremely difficult to learn in such conditions. A school is to provide safe working conditions for faculty and learning conditions for students every single day; however, that is not the case at Ramapo High School under these conditions. There are immigrant students who are trying to learn English but are unable to focus on breaking a language barrier because of the horrid odor and appearance of the school. There are students who lack motivation to even come to school every day, and those students are less motivated to attend school because of these conditions. As an AP student and Black Achievement Award recipient, I even find it difficult to learn in these predicaments. David Lipman, Spring Valley HS class of 1939, will be honored by the Rockland County Historical Society as a “Living Landmark”. The Society will present the award at their annual dinner on Sunday, March 6, 2016, from 5-9 pm at The View on the Hudson, 101 Shad Row, Piermont NY. 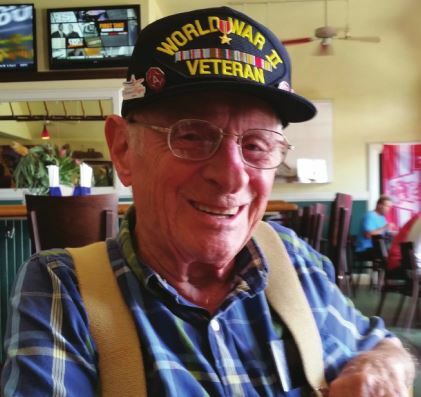 Lipman served as a Corporal in WWII, earning a Bronze Star while doing dangerous missions and being tortured by the Nazis. He bears witness to Antisemitism he experienced personally in the US and the horror of Nazi Germany. He also bears witness to the incredible positive power of quality public education in his own life and in his community. My name is David Lipman, Spring Valley High School, Class of 1939, from the original location on South Main St. Like many of my classmates, I went on to college; I became a professional engineer. Others became doctors, lawyers, teachers, police officers, artists, musicians. One became an actor, with an engineering degree to fall back on. Why? Because we were well EDUCATED. We were given solid foundations in all subjects. During WWII, we set aside our studies and our lives to go and fight for the freedom of other people. I came home with a Bronze Star and permanently damaged shoulders from the tender care of the Gestapo. One of my brothers, Walter, sacrificed himself in the Pacific Theater to save his air crew. There’s a local Jewish War Veteran’s post named after him, you can look him up. As part of my service I was present at Concentration Camp Dora. There, I saw horrible, unimaginable things; things that do not belong in this room with children. Then I came home, finished college, raised my family and sent my children to SVHS. My son, Walter is Class of 1972, and my daughter Ruth, 1976. Again, the Lipman family was well served by their excellent public school education. Both my children are professionals, and have a love of learning and reading, with inquisitive minds. Many of their classmates are likewise. Now, I see what has become of this once fine school system, and I am appalled. I see that the perpetrators of this are largely my own people; people who were the subject of those unspeakable horrors at Dora and places like Dora. Is this how you repay the community to which you came? Is this why the people of this community fought and died- so that 70 years later, you could grind under your heel their grandchildren, as well as the next group of downtrodden immigrants? I seem to recall two principles from my religious education; one, that we are enjoined to make THE world a better place, not just OUR world; and two, that we were strangers once, enslaved in Egypt. The Torah tells us that we have an OBLIGATION to the stranger- the Gentile- at least three times: Exodus 22:21, Leviticus 19:34 and Deuteronomy 10:19. And yet, this is not what I see. Instead of honey, we have poured bitter herbs on the books of these children, if they have books at all! This defames the memory of both the people of this community who died fighting against the enslavement and horrors of the Holocaust, and those who were its victims. You who are its survivors have a great obligation which you are failing to uphold. It will take far more than 11 days of repentance to expiate this sin. Its time to start thinking about the May school board and budget vote! Last year’s candidates have maintained a presence on social media to give this year’s candidates a head start. The purpose of the forum is to discuss the issues concerning the quality education in our district, and to give those who would like to run for school board in 2016 an opportunity to present themselves to the community. Reverend Weldon McWilliams IV, PHD, guest speaker. Note: Parking is available in the rear of the firehouse and across the street. Please do not park on the entry or exit ramps, or in front of the firehouse. In “Thousands of ill-educated yeshiva boys“, an Op-Ed in the NY Daily News, Naftuli Moster urges public outcry over the Education Department turning a blind eye to the lack of education in boys yeshivas. Mr. Moster is also featured in a report by BRIC TV: Yeshiva Education in Brooklyn and One Student’s Departure, which includes an excellent analysis by David C. Bloomfield, an education policy expert. I highly recommend watching this news show in its entirety. Alan Singer, a professor of teacher education at Hofstra University, has been a strong voice in advocating for state intervention in East Ramapo. He has been interviewed for a position on the NY State Board of Regents. To support his nomination, contact Steven McCutcheon, the State Assembly Program and Counsel Staff at mccutcheons@assembly.state.ny.us. Think of the people (friends, relatives, contacts) who live in New York State. Send a message to them, pointing them to www.strongeastramapo.org/action, where they can very easily support us by just clicking on the link for their Senator. 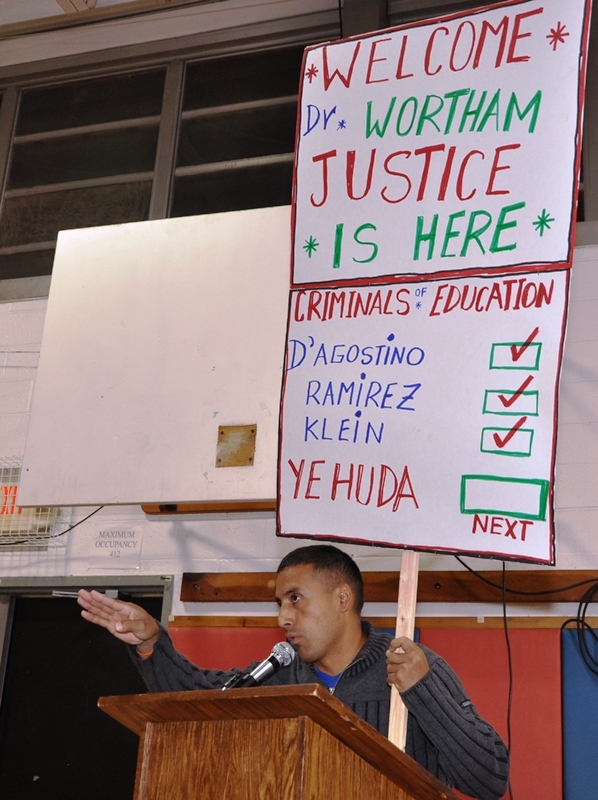 As you may know, there’s a big injustice happening in the East Ramapo School District. The board has slashed services to the public schools and diverted funding to the exclusive private schools where their own children attend. Two different studies and four different experts have come to the same conclusion: the state needs to appoint a monitor who can reverse the decisions of this board when they are not in the best interests of the public school students. We need to pass a statewide bill in the Legislature to make this local change possible. I am volunteering to help address this issue, and I ask you to take just one moment to visit www.strongeastramapo.org/action, and send a message to your State Senator, indicating that you stand in solidarity with me and the children attending public school. Child Care Resources of Rockland, Inc., in conjunction with the Rockland Children’s Advocacy Network and its members, host a Children’s Legislative Forum every year to discuss how families, children, youth and the early care and education community are faring in Rockland County. Its time to start thinking about the May school board and budget vote! Last year’s candidates have maintained a presence on social media to give this year’s candidates a head start. You can help by encouraging others to think about becoming candidates for school board. Or maybe you might be interested yourself? Those who wish to run this year should fill in this google form. The purpose of the forum is to discuss the issues concerning the quality education in our district, and to give those who would like to run for school board in 2016 an opportunity to present themselves to the community. Rich is a Clarkstown resident and author of The Brown Agenda. He will be speaking about how he has been involved in cleaning up some of the most toxic sites around the world, many directly affecting child mortality rates. It’s so inspiring to see what can be accomplished by an individual who is able to think creatively and build coalitions to get things done!!! KRB is excited to be hosting this event in a wonderful venue in the heart of Ramapo. We are looking forward to building on our relationships with nearby civic organizations, churches/synagogues, schools, government officials, etc. We hope to support the area with growing civic engagement and environmental awareness. So if you know anyone who lives in Ramapo or has an interest in the region, please be sure to invite them along!! Parents to Albany: You WILL Fix This! Politico NY, “the essential news source for and about the most powerful people in New York”, reported that about 100 parents and supporters traveled to Albany to advocate for a monitor with veto power for East Ramapo, putting East Ramapo in the top tier of advocacy issues at the State of the State event! The event was also covered by our own News 12. 3. Parents to NY State: Stop Passing the Buck! 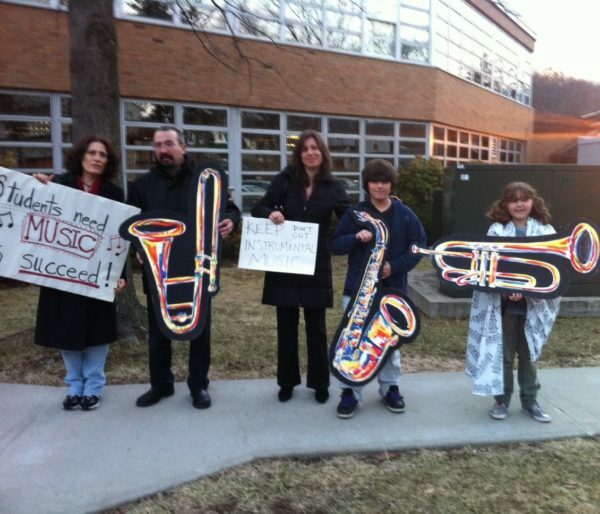 East Ramapo Parents are sick and tired of getting the runaround from NY State Education Dept. The have filed a lawsuit to force the state to intervene in the governance of the district. The parents are represented pro bono by Brad Elias of O’Melveny & Myers, and David G. Sciarra and Wendy Lecker of Education Law Center. 1. We surpassed our goal! Thanks to everyone who donated to our campaign, and special thanks to those who responded to yesterday’s appeal! We raised $2,290 in 24 hrs to blow past our $25,000 fundraising goal for this campaign! The debate over how to help the East Ramapo district will be among the top issues facing the state Legislature this year. It deserves to be mentioned in the Governor’s State of the State address on Wednesday. The sixth annual Martin Luther King Celebration 2016 will take place on Monday, January 18th. It will be a remarkable event with 117 sponsors and 100’s of supporters. The whole community is invited. The admission is free and food will be provided for everyone free of charge. Weldon McWilliams IV is the keynote speaker and there will be exceptionally good entertainment. Please help us get the word out so we fill Ramapo High School in a great Unity Celebration which not only honors the great work of Dr. King and the Civil Rights movement but examines what has to be done to make our community, the nation and the world a better place for all. What: Celebrate the Life and Legacy of Dr. Martin Luther King Jr.
Its time to start thinking about the May school board and budget vote! Last year’s candidates have maintained a presence on social media to give this year’s candidates a head start. We will hold a public forum on Thursday January 28 to give an opportunity for all who would like to run for school board in 2016 to present themselves to the community. Our goal is to strengthen the unity in our community, and to provide the very best support to a unified slate of candidates. You can help by encouraging others to think about becoming candidates for school board. Or maybe you might be interested yourself? The Center for Public Education says a good school board candidate should: have vision and goals for high academic achievement for all students; be able to inspire parents and other stakeholders to have confidence in the local public schools; enhance the mix of skills and backgrounds on the board; and help the school board represent the diversity of the community. Those who wish to run should fill in this google form. It seems like almost every time you pick up a newspaper there is some new injustice being done to the students of East Ramapo. You may ask yourself why isn’t someone doing something? Well, Advocates for Justice, a public interest, not-for-profit law firm has filed a federal civil rights lawsuit. The lawsuit seeks to hold those accountable to justice, and for the court to order an end to the school board’s abusive and unconstitutional practices. Advocates for Justice represents parents and students for free, but has undertaken a fund-raising campaign to raise $25,000 for ongoing court expenses. Thanks to many small donations from community members, to date they have raised $23,452 or 94% of the goal!!! They have extended the campaign – one last time – to January 15. With 5 days left, your tax deductible donation is urgently needed. Patricia Simmons, beloved principal of Fleetwood Elementary, passed away on December 27. She was a true friend and cared deeply for the children she served. She was never afraid to speak truth to power. 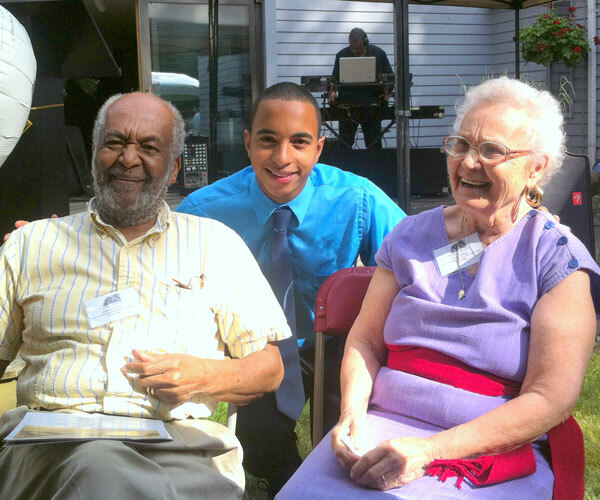 Dennis Walcott was interviewed by the Journal News about his report to the NY State Board of Regents. He explains his support for a monitor with veto power. He reiterates the findings of Hank Greenberg, who found that the problems are not the fault of any one person or group of people, but is an inherent flaw in the system of delegating control to a local agency. East Ramapo voters have voted down more school budgets than any other voters in New York State. Why? The time for a community to show it’s support for public education is at the budget vote. The defunding of public education for children of color by their own neighbors is a civil rights nightmare unfolding before our eyes. Last year we rallied and lobbied in Albany for a bill which would have provided a monitor with veto power for East Ramapo. Our efforts were successful in getting the bill passed by the Assembly, but it was blocked from even being considered by the leader of the Senate. Albany has a two year cycle for bills, which means the bill could still become law in 2016. We will again do everything in our power to make this happen. Not because it is the answer to all of the problems, but because it is the best first step we have at our disposal at this point in time. We are being told that it is possible that the bill will pass, and that the one thing most needed for it to pass is public pressure. From you!